The importance of music to radio programming is obvious, but from the perspective of Old Time Radio, the importance of radio to music is less so. This is partially due to the limitations of recording technology. During the first several decades of the radio era, the phonograph players and the relatively low fidelity of radio receivers meant that music over the radio was not as satisfying as it could have been. It also meant that most music had to be broadcast live, which could be a complicated feat, especially for the small studios of local stations. Rock and Roll, however, was almost ideal for radio, and radio helped to spread the influence of Rock somewhat rapidly. Early Rock hits were usually made up of one or two guitars, a bass, drums, and a singer, so low fidelity was less of a problem, and the networks were putting their programming emphasis on Television, freeing up more airtime for Rock Music and, especially, Rock and Roll personalities. Rock quickly developed a reputation as the music of rebellion. To paraphrase the 1953 film The Wild One, "What are you rebelling against? ", "What do you got?" This attitude of youthful rebellion came less from the music and more from the on-air personas of the DJs promoting Rock. 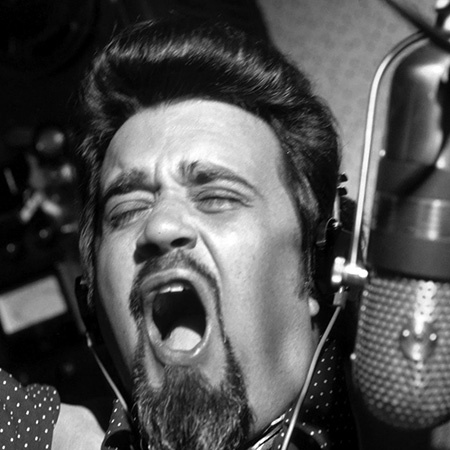 The King of the late-night Rock and Roll troublemakers was the immortal Wolfman Jack. "The Wolfman" was born Robert Smith in Brooklyn, New York, 1938. His father was a Sunday school teacher and editor of Financial World who would leave his wife and kids when little Bob was just a child. Recognizing that there were many temptations for young Bob on the streets of Flatbush, the elder Smith bought his son a huge Zenith Trans-Oceanic radio set to help keep him out of trouble. Bob used the set to tune in distant stations and developed a love for Rhythm and Blues music and an admiration for the disk jockeys who played it on the late-night stations, including "Jocko" Henderson of Philadelphia, New York's "Dr. Jive" (Tommy Smalls), the "Moon Dog" from Cleveland, Alan Freed, and Nashville's "John R." Richbourg. When Bob was sixteen, the most notorious of these DJs, Alan Freed, staged a series of Rock and Roll shows at the Paramount Theater (Freed claimed to have invented the term "Rock and Roll" to describe the music). Hoping to meet his hero, Bob stationed himself outside Paramount stage door, and not only did he attract Freed's attention, he was hired as a "gofer" at the Paramount. Although he had dropped out of high school, Smith decided to pursue a broadcasting career and attended the National Academy of Broadcasting in Washington D.C. He supported himself as a door-to-door encyclopedia and Fuller Brush salesman during the day, and although a high school dropout, finished at the top of his class. His first job after leaving the school in 1960 was at WYOU in Newport News, Virginia, using the persona of "Daddy Jules". When the station adopted a Beautiful Music format, he became "Roger Gordon and Music in Good Taste". Moving on to KCIJ in Shreveport, Louisiana, in 1962, he became "Big Smith with the Records" and began developing the Wolfman Jack character. He also met and married Lucy "Lou" Lamb, to whom he would be married for the rest of his life. "Wolfman" was a tribute to Smith's enthusiasm for horror movies as well as to Chicago bluesman Howlin' Wolf Burnett, and Jack was a play on late '50's hipster slang ("Hit the road, Jack"). He began working at a club located in an old Quonset hut on the edge of town called The Tub where he hosted weekly mixed-race teenage dance parties. After the local chapter of the KKK twice burnt crosses on his lawn, the family decided to leave Louisiana. "Border Blaster" XERF AM's broadcast facilities were located in Ciudad Acuña, Coahuila, Mexico, just across the border from Del Rio, Texas. Pumping out 250,000 watts of power (U.S. "clear channel" stations were limited to 50,000 watts), XERF had been the station of early radio preachers and patent medicine salesmen. It was claimed that a driver could tune the station on his car radio before leaving Seattle and never lose the station until he arrived in New York. Young Bob Smith had no trouble picking up "the Big X" on his old Trans-Oceanic, and he was convinced that as Wolfman Jack he would be able to "sell anything" on the air. The power of the border station meant that everyone in the U.S. could, potentially, hear the Wolfman, and thanks to his on-air antics, once they began listening they were unlikely to tune him out. He played a rowdy combination of Rock and Rhythm and Blues, and his trademark raspy voice conveyed an unending sense of mischief. His shows became a combination of long-form infomercial pitching anything from dog food to sexual-enhancement pills ("Put some zing in your Ling nuts!") and rowdy party complete with "crank phone calls" and encouraging his fans, "Everybody get naked!". The fun seemed to come to an end in 1970 when the government of Catholic Mexico shut down XERF (mostly to keep their citizens from being bothered by fundamentalist Protestant preacher who used the station). Wolfman was out of a job in Mexico, but he was ready to conquer "Estados Unidos" over the next few years. The Wolfman had to take a pay cut to be hired by KDAY Los Angeles, but he was able to supplement his income by selling tapes of his border blasting antics to other stations. In 1972, NBC-TV tapped him to co-host The Midnight Special music series and budding director George Lucas featured him in his award-winning American Graffiti (1973). His screen time was limited to a short scene, but his voice-overs helped to tie the film together and in appreciation, Lucas gave him a fraction of a "point" in the royalties. The film was a surprise hit and guaranteed Smith and his family an income for life. After publishing his autobiography, Have Mercy! : Confessions of the Original Rock 'N' Roll Animal in 1995, he embarked on a twenty-day tour to promote the book. On July 1, he made what would be his last broadcast from the Hard Rock Café in Washington D.C., before returning home to Belvidere, North Carolina. According to a family spokesman; "He walked up the driveway, went inside the house and hugged his wife. Then he just fell down and was dead". He was 57. See also: Alan Freed Show, Alan Freed Rock n Roll Dance Party, Airchecks from Great Radio Stations, Vintage Airchecks from Great Radio Stations, and DJ Madness. 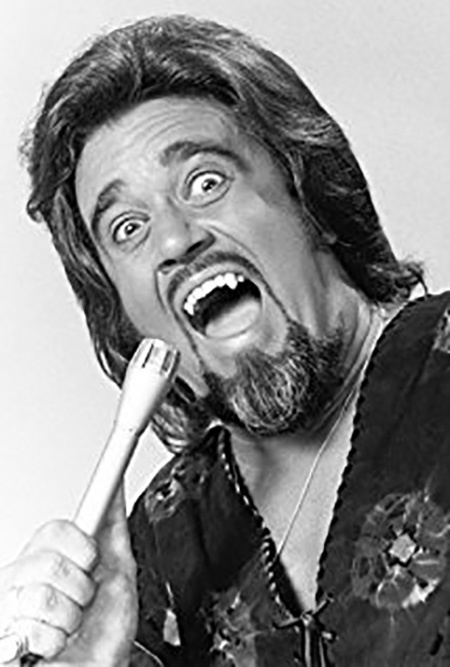 You failed to mention Wolfman Jack was lured away from XERF to work at XERB in 1966. How in the world could you leave out this very important information since it was the biggest decision of his career? I recorded him at XERB in 1966 including him on the air at the transmitter a week before he officially began working on the air August 1, 1966. He was at XERB until at least 1971. I just finished the book he wrote just before his death, "Have Mercy!" Absolutely enjoyable and an excellent representation of him as he shows through in every sentence. Everyone who enjoyed him back in the day should read it. Wolfman Jack 84 Kaar In Wa.